When you are creating your travel map, you need to specify which size we should print your travel map. 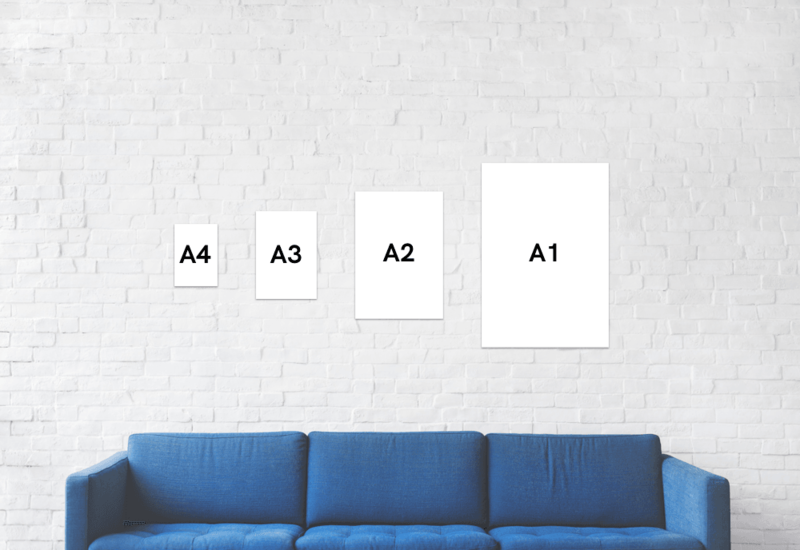 Our maps come in different sizes, ranging from A1 to A4. Find out what print size is best suited for your travel map with the overview underneath. See the table underneath for the exact dimensions.